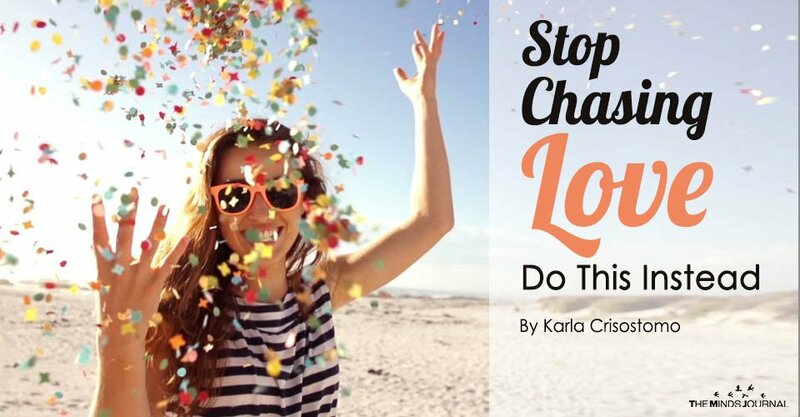 Instead of chasing love, cultivate self-love. Because you cannot fully understand the love you’re seeking from another person, as it would always seem incomplete without the love you have for yourself. Cultivate self-love by mastering the art of taking care of your worth. Cultivate self-love by being proud of your uniqueness, but making room for improvement. Learn to enjoy life on your own. Learn to save something instead of pouring it all out. Self-love should be the foundation of any other kind of love you’ll express to people outside your zone because it will serve as your guidance, your control over your emotions for others. Because dreams don’t work itself for you. Dreams are the ones to be chased because they will give you wonderful rewards for the efforts you’ll make. And love? It is something predetermined. It will go your way. It will find you, at the very right moment. So don’t worry about it. Love is ageless, but dreams are time-bound. The sooner you pursue them, the greater fulfillment will you achieve. Relish the rewards of your dreams first, and then wait for the right person you’ll share them with. Instead of chasing love, appreciate the love you already receive. The love of your family, friends, relatives, colleagues, or whoever they may be. Whoever those people who truly care for you, I hope you take time to appreciate them. Observe how they stay by your side. Observe how they support you, believe in you, and encourage you in your endeavors. Don’t squander these people. Love them back instead of wasting your energy over others who don’t actually deserve it. The people who truly love you will help you determine how a person should treat you. They will set your standards. They will determine the right one. 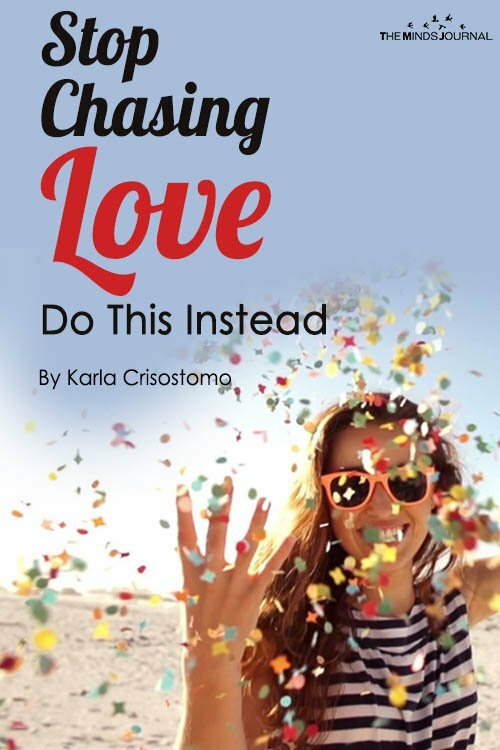 Instead of chasing love, find your purpose. Awaken your passion, because passion begets purpose. Never lose the fire. Just do what you love doing. Whatever you’re gifted with, it’s not there just for you to enjoy them. You enjoy them for a special reason. Do you sing? Then maybe your voice can emotionally heal those who hear your song. Do you dance? Then maybe your graceful movements pass the energy that makes your audience happy. Do you write? Then maybe your words can touch hearts and enlighten minds. Do you paint? Then maybe the colors of your art can speak loudly for what others feel. And you know what’s magical? Sometimes your passion—your gift—serves as the pathway for love. Because once you discover what you’re made for, you cannot help but be happily preoccupied by the fulfillment of your purpose. And you’ll be surprised someone has come knocking on the door of your heart, indicating that it’s your time. You’re ready for love.